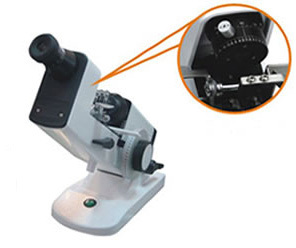 It is suitable for spectacles factories, spectacles retail departments, department of ophthealmology in hospital and optical element factories to measure sphere. Cylinder power, Cylinder axis, prismatic power of spectacles slices and lenses, and contact lenses power. Are you done with the Manual lensmeter ? Go to lensmeter.